Lisbon can be searched out by a variety of means of transport. Depending on the gratifications one can expect to get from their stay in the capital of Portugal, tourists can opt for getting around by the public means of transport (buses, trams or metros), by car, by ferry or by bike. Walking too can be taken into account, in particular when it comes to discovering the center of the city, which is a fairly compact area. Using the funicular system is yet another manner of discovering Lisbon, this one being a highly tourist oriented means of transport. 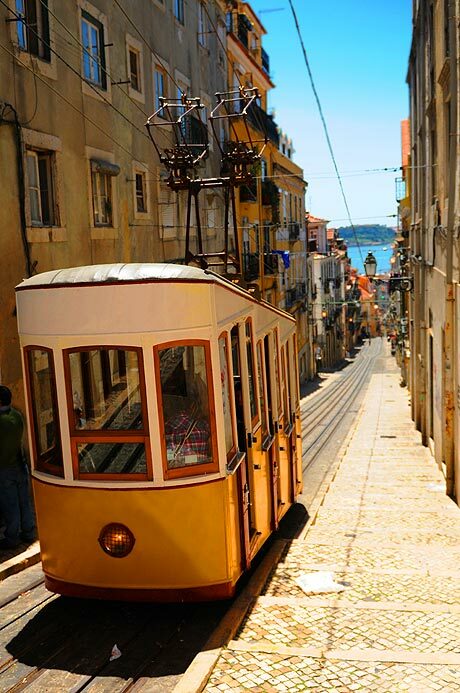 Lisbon features an extensive public transport network, comprising both underground and surface means of getting around. Relying on the metros, buses and trams of Lisbon is one of the most cost efficient and flexible manners of discovering the city, since Carris, the main company in charge with managing the public surface transport of Lisbon, makes available a wide range of tickets and passes, as well multiple means of paying for the transport services. Thus, for instance, all-day passes are ideal for tourists who plan to use trams and buses extensively during a certain day of their stay in Lisbon. Multiple-day tickets are also available, but for extended holidays, visitors can also allow for unlimited passes, which are valid for both the surface and the underground transport. The funicular system can also be used by holders of an unlimited pass. Traveling by metro is generally the fasted way to get from one corner of Lisbon to another. The metro stations are, unsurprisingly, signposted by large blue M signs and, as far as the English speaking tourists are concerned, they are also very accessible, given most of the information is featured in English too (though the voice announcements are made only in Portuguese). In order to travel by metro in Lisbon, visitors must buy tickets which are distinct from the tickets dedicated to the surface transport, but there are all sorts of passes which are valid for the entire network of public transport (surface and underground alike). Carris is the main company in charge with running the public surface transport of Lisbon. 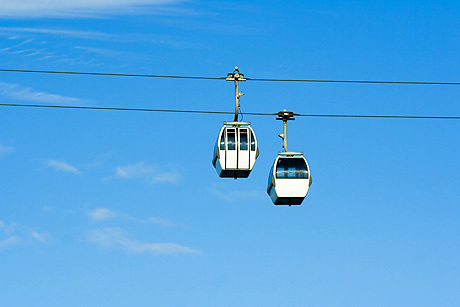 The company manages the bus (autocarro) and tram (electrico) networks, as well as the funicular system (ascensores e elevador) of Lisbon. Its network extends on virtually the entire city, as well as in the surrounding areas. The company also provides airport transfer services. Another specialized service the company has conceived refers to the 6 bus lines that can be used by bikers, meaning keen cyclists can freely bring their bicycles in the bus without worrying about additional costs. On top of that, the company also meets the needs of people with reduced mobility, by making available special vehicles for this particular target public. Some tend to believe getting around by bike in Lisbon, though possible, is not the most exhilarating tourist experience one can make in the capital of Portugal. Despite the fact plenty of improvements have been made as far as the cycling infrastructure of the city is concerned, there’s still a lot to adjust. The heavy road traffic, the tram lines, as well as the hilly topography of the city, all these turn Lisbon into a destination where one needs genuine urban cycling skills in order to be able to actually delight in cycling in Lisbon. On the other hand, cyclists do actually enjoy certain advantages. For instance, there are six bus lines available for people who want to bring their two-wheel vehicles along, as well as they are allowed to carry their bicycles in the metro or on the ferries during certain periods when the services are operational, as well as depending on other circumstantial factors (rush hours and the like). Lisbon does not benefit from a bike sharing system, yet there are several bike rental shops which come in handy in this respect. These shops can also provide useful information and tips on the best spots where tourists can get around on two wheels. Parque das Nacoes is said to be one of the safest and most pleasant cycling spots in Lisbon. It is complemented by the cycle path laid out between Baixa and Belem along the Tejo River promenade. Getting around by taxi in Lisbon is definitely a reliable option. There are plenty of taxi companies and taxi ranks throughout the city, not to mention taxis can also count as one of the most efficient means of airport transfer. As a rule, taxi rides are fairly inexpensive, and it is customary that tips be about 10 to 20% of the total fare. Drivers are also allowed to charge up to 50% for extra luggage, depending on the luggage weight. Certain taxi companies complement the range of specific services with private taxi tours in and around Lisbon, which is reassuring enough for tourists who need a reliable guide during their stay in the capital of Portugal. Lisbon is a typical European capital where road traffic can turn into a genuine nuisance especially during the rush hours. Visitors familiar with crammed thoroughfares and with the scarcity of the free parking lots will find no reason to complain while driving around in Lisbon, but this is hardly the most pleasing tourist experience. However, as far as car parks are concerned, the central area of Lisbon does lack this kind of infrastructure, meaning the parking places are quite scarce. There are free parking spaces, however, available at the high rated hotels, as well as in the suburban areas. Tourists who, despite such impediments, do want to venture in experiencing Lisbon by car can rely on the rental services provided by the car rental companies scattered throughout the city and at the airport. Lisbon is situated on the Tejo River, and, by force of its geographical location, the two parts of the city need to be connected by one means or another. Before the construction of the bridges across the river, the city used to be connected by ferries exclusively. At present, this historical means of transport is still available, providing, at the same time, a great tourist experience for people who want to discover Lisbon other than by land. The main company which provides ferry trips in Lisbon is Transtejo Soflusa, a company created by the merger of the former Transtejo and Soflusa. 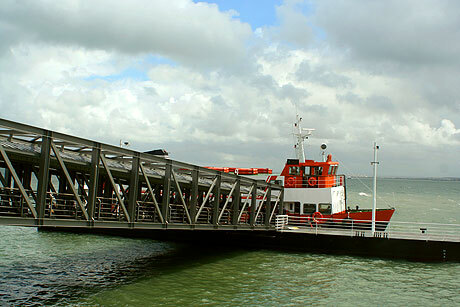 As a rule, ferries depart from either Belem and head for Trafaria, or from Cais do Sodre to Cacilhas, Seixal and Montijo. Another connection is made between Terreiro do Praco and Barreiro. The offer of regular services is complemented by tourist cruises with guides providing information in several languages. The four elevators managed by Carris are not only a reliable means of discovering certain parts of Lisbon, but they also welcome visitors with the opportunity to sample some of the historical charm of the city. Indeed, given the fact they were put to use in the late 19th century or in the early 20th century, they have been declared national monuments since 2002. The four elevators of which the funicular system consists are as follows: Elavador de Santa Justa (covering the distance between Largo do Carmo and Rua do Ouro), Ascensor da Gloria (the terminals of the line are Praca dos Restauradores and Bairro Alto), Ascensor da Bica (running between Rua da Sao Paulo and Largo de Calhariz), and Ascensor do Lavra (the oldest of all, covering the distance between Largo da Anunciada and Travessa Forno Torel). In order to learn more about each of the four elevators, ticket prices and schedule, visit Carris, the company in charge with the public surface transport of Lisbon. Being a typical European capital, Lisbon does not lend itself to being explored on foot to the full extent of its layout. The center of the city is, however, a pretty compact area, and adding the fact the road traffic is most of the time an experience to be generally avoided, merely walking around in this area seems to be an inspired choice. For more extensive pursuits, resorting to the public means of transport is the best alternative.